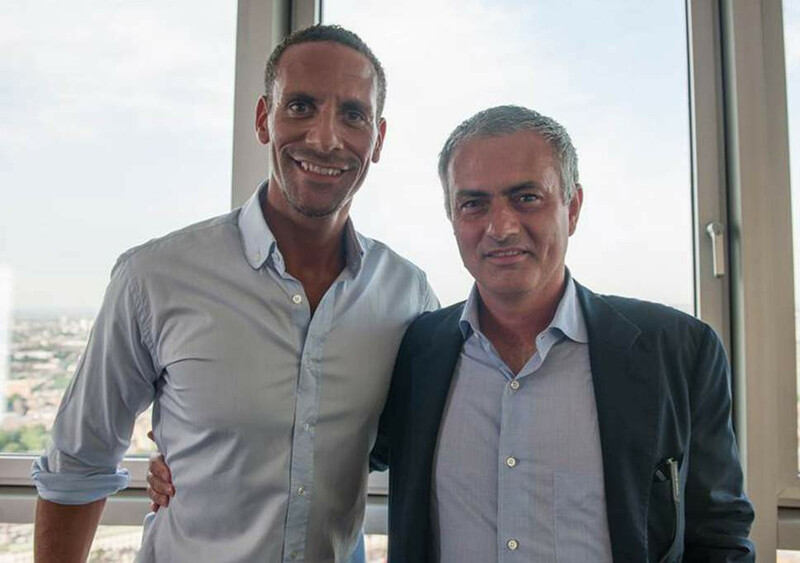 Manchester United legend and football pundit, Rio Ferdinand has taken a swipe at Jose Mourinho after the club recorded their eight straight wins against Arsenal in the FA Cup fourth round last night. 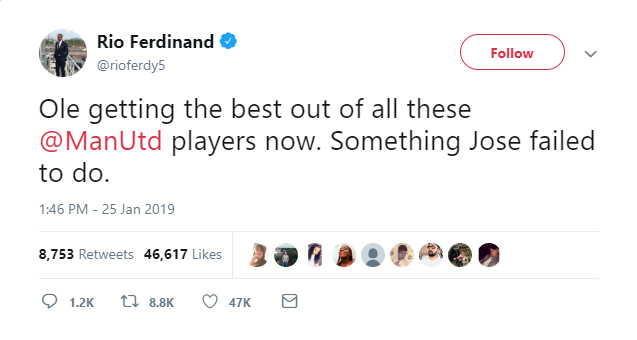 Recall that Jose Mourinho was sacked in December 2018 due to the poor run of the club and Ole Gunnar Solskjaer, a former Manchester United striker was appointed as interim boss to replace him. Since his appointment, Ole Gunnar Solskjaer has won eight of all his games in charge and his latest win was against Arsenal last night, which was a 3 – 1 victory for the red devil.